Proper verification testing of DICOM interfaces and validation testing of interoperability between products should be a focal point for connected health information system, PACS and modality vendors. As this can save serious effort resolving interoperability related field problems later. 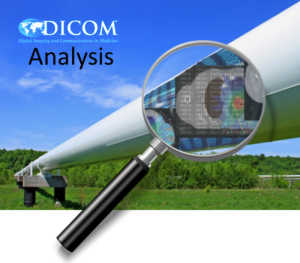 DICOM Expertise is required in the analysis of interoperability issues and in providing robust solutions. for healthcare and research institutes that needs help in analysis of interoperability issues and providing solutions to a specific problem. DICOM verification and validation testing is performed by ICT in compliance with regulatory requirements, providing evidence documentation needed for a product's technical file. In the coming years medical device manufacturers will face challenges due to ever stricter regulatory requirements on medical software development; ICT Group is offering its expertise as a partner in the field of DICOM, medical software development and testing.